We are delighted to have Aamir Khan join our Datsun family in India. 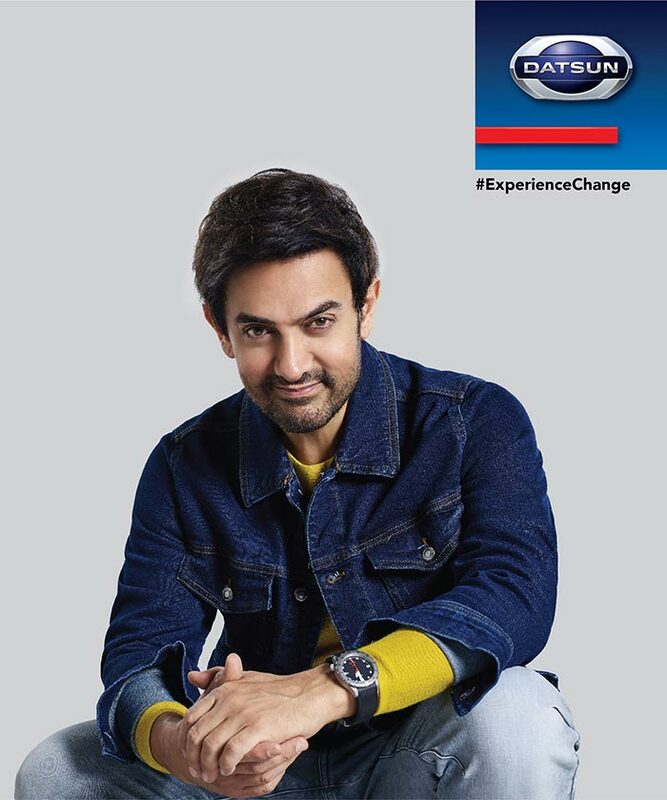 Aamir advocates the bold and fearless attitude of the new generation who strive for excellence and embodies the spirit of Datsun. We are proud to have him onboard and be the face of our new campaign – #ExperienceChange. I am thrilled to be associated with an iconic brand that stands for quality and innovation… I look forward to being a part of the Datsun family and its fascinating growth journey in India. #ExperienceChange is a 360-degree multi-media campaign that will go live on all the key platforms – digital, print, radio, TV, OOH, dealerships and city activations this festive season. The campaign will showcase the new GO and GO+ along with Datsun’s highest selling model redi-GO.